Bodie the Clumber Spaniel at 7 years old with his water retrieving toy in his mouth after a good water play session. 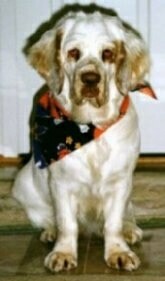 The Clumber Spaniel is a heavy-boned, low to the ground dog with short legs. The head is massive with a broad, deep muzzle, a defined stop and a heavy brow. The large nose comes in shades of brown ranging from beige, rose and cherry. The teeth meet in a scissors bite. The wide chest is deep and the front legs are straight. The deep-set eyes are dark amber in color. The flews hang over the lower jaw. The hanging ears are triangular in shape with rounded tips, set low on the head. The neck is thick, heavy, and feathered at the throat. The feathered tail is either docked or kept natural. Note: docking tails is illegal in most parts of Europe. The feathered coat is soft to the touch, flat, dense and straight. The coat is predominantly white, with lemon or orange markings. The Clumber Spaniel is described as a docile, sweet, intelligent and pleasant dog. Among the most low-key and easygoing of the hunting breeds, they are very affectionate, well-behaved, and not very active when mature. Clumbers will get along with other dogs and cats as well as other household animals if they are raised with them. If they sense the owners are meek or passive they can become a bit willful. They are not barkers. Clumbers are playful and usually trustworthy with children of the family. Socialize them well to help them adjust to making friends with strangers. They do not respond well to harsh discipline, but they do need a calm, firm, confident owner who knows how to communicate the rules. This dog has a good memory and likes to do things to please their master, therefore training is not usually difficult. Clumber Spaniels can be used as hunting dogs. They prefer to hunt for pheasant and partridges, take naturally to retrieving, and are good water dogs. Make sure you have good chew toys for them to chew on. Some are prone to entropion, cataracts, panosteitis (juvenile lameness), hip dysplasia and dry eyes. They tend to snore, wheeze and drool. Clumbers are prone to skin and flea allergies. Like to chew; take care not to let them swallow foreign objects. Tend to gain weight easily, do not over feed. Clumber Spaniels will do okay in an apartment if they are sufficiently exercised. They are very inactive indoors and a small yard will be sufficient. Like cooler weather. Young Clumbers grow very rapidly and are extremely active. As adults they slow down considerably. They need to be taken for a daily long walk. Good retrievers, they love playing fetch, however chasing after a ball cannot be their only form of exercise. Daily walks are very important to the dog’s mental health. When walking your Clumber be sure to make him heel on the lead, never in front as instinct tells a dog the leader leads the way, and that leader needs to be the humans. Take caution on hot weather and pavement. This breed is a good swimmer. The coat must be groomed regularly with a brush and comb. Some skilled trimming of the coat is required. The ears and eyes need to be cleaned and inspected regularly. Some of these dogs develop an irritation of the ear, but there are special lotions which can provide relief for this. If there is too much hair under the ears, clip it before the next overall trim. This breed is a heavy shedder. 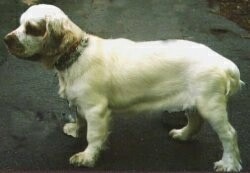 The Basset Hound, Alpine Spaniel and St. Bernard may have contributed to the ancestry of the Clumber Spaniel. 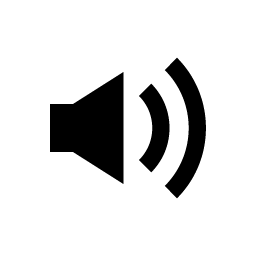 The Clumber's early history is not well documented and there is no proof, but some say it originated in 18th century France around 1768 by one of the Dukes of Noailles. Threatened by the Revolution, he transferred his dogs to England, close to his family, the Duke of Newcastle. Some say it is here the Clumber was perfected and was successfully presented at its first show in the nineteenth century. It is said that several British monarchs have favored the Clumber, including Prince Albert (Queen Victoria's consort), King Edward VII and his son, King George V. The name Clumber derives from the Duke of Newcastle's 3,800-acre estate, Clumber Park in Nottinghamshire, England. The name Clumber itself most likely derives from the ancient name "Clun" of a local river. Examples of vintage paintings depict white and orange dogs which look like Clumbers with sometimes a little less bone and smaller heads being used for hunting expeditions. Early standards and actual written descriptions mention a preference for the color lemon. 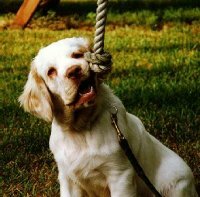 The Clumber Spaniel is the heaviest of the Spaniels, and is a slow, quiet hunting dog able to work in both packs or alone. They have good stamina, fine noses and do very well in dense underbrush. They have been used to hunt partridge and pheasant and can be trained to retrieve. The breed was said to have arrived in Canada in 1848 and made its way into the United States. 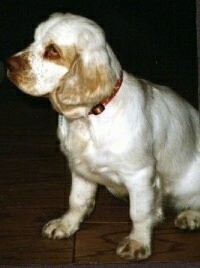 The Clumber Spaniel was first recognized by the AKC in 1884 and was one of the first 9 breeds recognized by the club. Clumbers are pretty rare and hard to find.